The YWCA’s Secret Seconds store off Stephens Avenue will be getting a facelift this spring. The YWCA believes the enhancements will boost business and support its programs. The Secret Seconds store owned by the YWCA will get a facelift this spring, joining the growing list of redevelopment and construction projects taking place in the Midtown district near Stephens Avenue. Nearby, the Missoula Organization of Realtors will also invest in an update of its new building on Burlington Avenue. The organization plans to occupy the facility this spring. 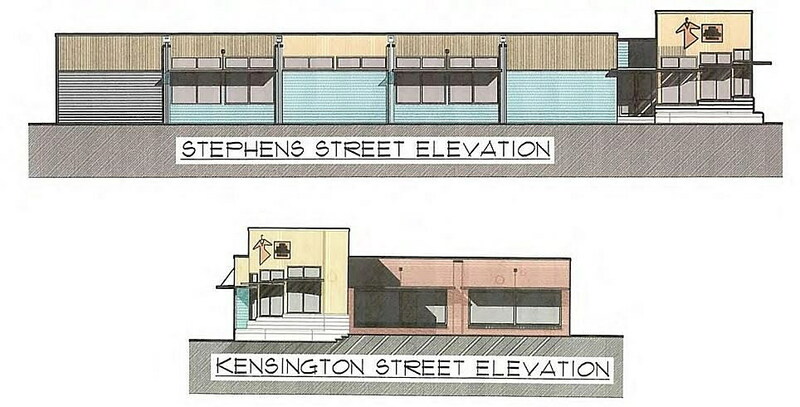 On Thursday, the Missoula Redevelopment Agency’s Board of Directors approved a $50,000 facade improvement grant for each project. The money will be used to enhance the structures’ exteriors with modern materials. For the YWCA, it may also boost their bottom line, enabling the organization to cover the funding gap needed to continue certain programs. Cindy Weese, executive director of the YWCA, said the Secret Seconds store generated $307,000 in net revenue last year. That funding helped cover program costs associated with the domestic and sexual violence shelter, the girls in leadership program, and transitional housing for families. The Secret Seconds store sits in an up-and-coming district located off Stephens Avenue. The store is surrounded by recent or ongoing projects, including construction of OnXmaps’ new office building, the new state building, the remodeled Elbow Room and several others. Nearly all have received tax increment funds from MRA to complete some of the work. Weese said the district’s rejuvenation helped convince the YWCA to keep and invest in its property. A few blocks away, the Missoula Organization of Realtors is also looking to enhance its recently purchased building at 724 Burlington Ave., which was formerly occupied by Outlaw Music. MOR plans to vacate its location near the Good Food Store on Third Street, making room for the grocer to expand. MRA staff members said the cost of renovating the new building stands at $464,000, including parking lot improvements and landscaping. The $50,000 facade improvement grant from MRA will enable the organization to enhance the building’s exterior with the addition of new windows and colored awnings. MRA’s board approved both projects.